My name is Omry Alaluf, I'm coahing and racing in triathlon and running for many years. I'm aiming to bring my athletes to their best performances through putting in them all the knowledge and skills I can. keeping them steady and healthy during busy lifestyle. I'm offering personal TrainingPlans to suit each and every one considering the targets or racing plan. Skype chats every week to be on top of professional issues. Analyzing SWIM BIKE RUN sessions + strength and pilates sessions. I'm coaching Triathlon and running almost 10 years, I've study coaching in "Wingate institute". I'm coaching for short and long distance racing. 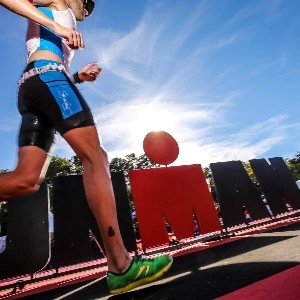 Sprint towards Ironman. I believe athlete in any kind of level should have the descipline to go the distance of training routine, even if it's for keeping healthy lifestyle or getting ready for big day like Ironman race or marathon. All it has to be is "Smart3Training" - This is my business name. I chose it, because this is how I see every day training for all type of people. Pro and Ameatur. Join me for smart and happy training days. Success. Coach Omry Alaluf has been notified of your message.